In the world of business, there are two general organizational structures adapted to suit individual real-world scenarios. The first of these is the traditional top-down hierarchy. The second, less common in the Western world, is the cooperative model based upon an egalitarian, decentralized power approach. In a seemingly illogical dichotomy, the Western world, which prides itself on its political base of democracy, most often uses a centralized form of business leadership that operates in stark contrast to democratic ideals. Traditional top-down structures offer an advantage in short-term local business decisions, where a highly skilled individual can direct the flow of work most effectively. As top-down organizational structures grow larger, administration becomes a more difficult task, ultimately requiring those at the upper level of command to expand middle management in order to delegate tasks. One of the key strengths of a top-down system is its ability to preserve and convey the business vision of gifted leaders. 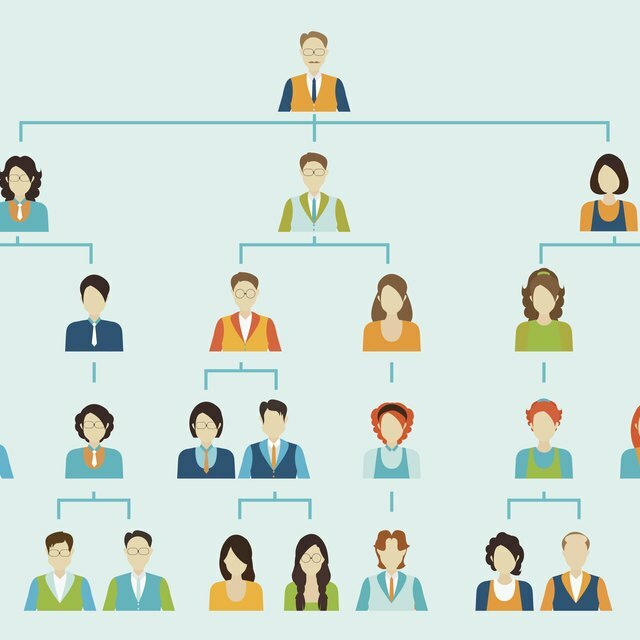 One of the weaknesses of the traditional top-down structure is that middle management can eventually grow quite large and consume a sizable portion of revenue. In top-down structures, the abilities and potential of low level workers sometimes go unused or unnoticed because of an emphasis on stringent rules rather than creative thinking. Cooperatives are business organizations that share ownership among participating members. Members of the cooperative are either entirely equal or have a cursory level of management, with most being self-directed employees and teams. One of the key advantages of the cooperative business model is that employees are more likely to self-direct, meaning they will not require as much middle management to achieve the same end results. Cooperatives also tend to have direct profit-sharing systems, though the degree of profit-sharing varies; in an ideal profit-sharing cooperative, workers are highly motivated by the extra earning potential that comes along with successful self-direction. The downside of cooperatives is that it can be difficult for them to respond quickly to changing situations as most major organizational changes will need to be put through a vote by council process in order to be ratified by the majority before implementation. Leaders looking to better integrate into a new company need to identify the currently existing organizational structure of the company as well as identify their own personal leadership style. Leaders who find that their personal leadership styles do not match the organization's general structure are not necessarily incompatible with the organization itself; for instance, authoritative top-down leaders can serve as helpful committee leaders within cooperatives. Conversely, leaders who prefer to operate by consensus can do well in the departments of a top-down organization where a softer-handed approach leads to better employee management interaction, such as human resources. Addressing organizational structure weaknesses may seem to have a slight negative effect on overall earnings; however, the actual cost of problem analysis committees and actions taken on committee recommendations do not fully relate to the value of a crisis averted. One example might be an organization with a strong centralized leadership that decides it needs to create a new regional manager position, leading ultimately to more local accountability and therefore greater adherence to organizational guidelines for mid-level supervisory personnel; this result should, in theory, have a positive effect on earnings. Another example of how addressing organizational weaknesses affects profits would be a cooperative organization that determines the need for and votes on a supervisory committee to identify and discipline members that make poor decisions that damage the company's profitability; this reduces the negative side effects of a general lack of regulation encountered with a cooperative organization.